Need some pet bird names for your new pet? Before looking at lists of names get some tips on naming your pet bird. People often search for names before they even get the bird. Sometimes they have an idea how's the bird going to look like so they search for names according to that. 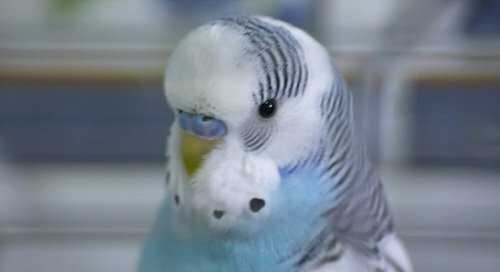 I have had several people ask me questions like: "I am getting a white budgie, how do I name him?" Who says you need to name your bird only by color? The number one tip when it comes to pet names for birds is to wait. Why wait? Because it might be the best thing to do to to choose the perfect name for your pet bird. If you decide on a name before you bring the bird, after some time you could realize that the bird's character doesn't really go with the name. Now, if you have a really cool and funny name you want to name your bird, just go with it. My hubby named my parakeet once with a really funny name. It was one of the few words of my language he knew at the time. If you are not so eager to name the pet than wait some time and see your bird's character. Here are some more tips that can help you choose the right name for your bird. 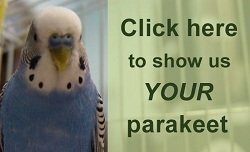 Name your parakeet, or other parrot you plan to teach how to talk, with a short, easy to remember and repeat, name. It will help him learn his name faster. It is the best if the word has two syllables. It will be even easier if the name starts with a consonant and not a vowel. What is also important is that your bird will not really know that the word is his name. So if you name him Snowball the Third when you get him and change his name to Tweety after two weeks, he will not really know the difference. If you are getting a pair of birds, you can always name them after a famous couple. Now that you got all these tips you can start thinking of some pet bird names. If you need some suggestions check the suggested names lists bellow.